Steam the spinach and press the as much water out of it as possible. Place the spinach in the bottom of a tea cup and add the yoghurt on top of it. 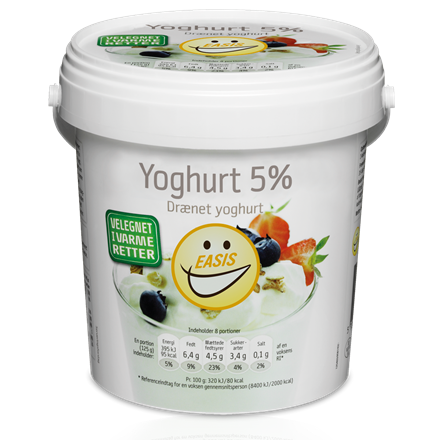 Crack open the egg and add it on top of the yoghurt. Bake the cup at 200° for 10-15 minutes. When baking the cup place the parma ham on baking sheets in the oven and bake until brittle. 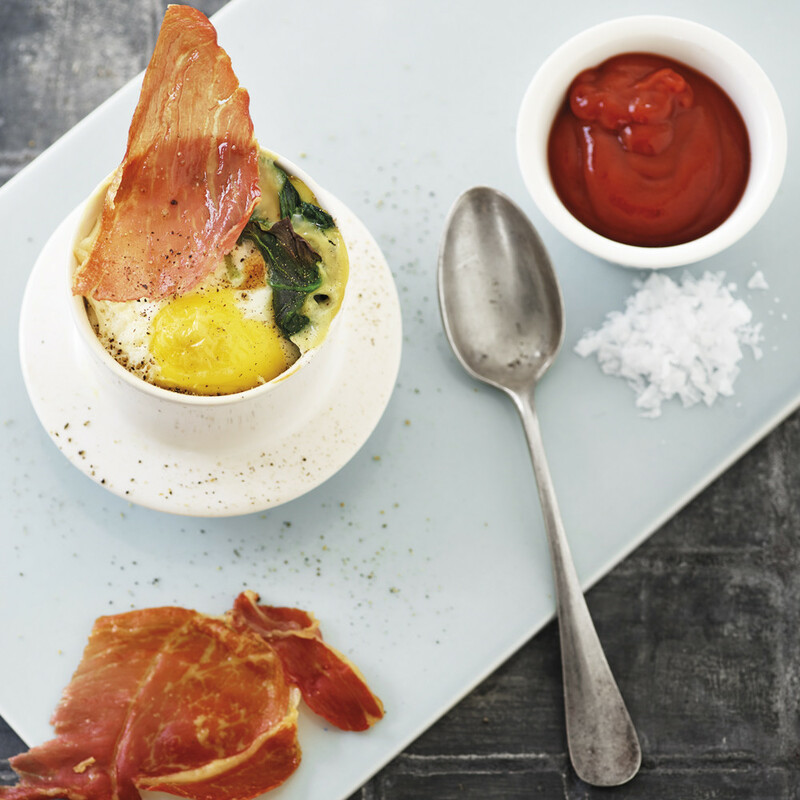 Serve the baked eggs with the crispy ham on top and with a little ketchup on the side. The baking time will be shorter if the cup is pre-heated in the oven before adding the ingredients.